Our member Armelle, who lives with her young family in Jesmond, has contacted us again. 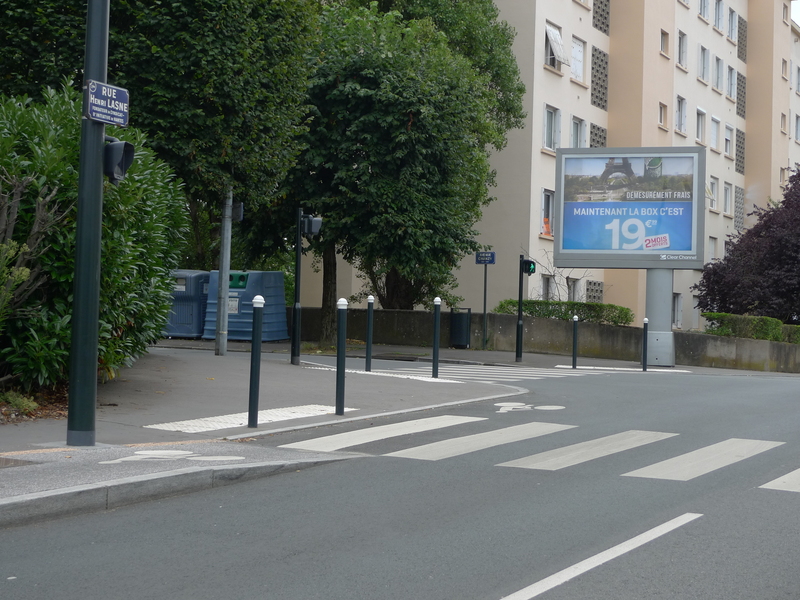 She previously reported back from Copenhagen, home of urbanist Jan Gehl, now she’s sending inspiring stuff from Nantes in France telling the story and journey of the VeloCity 2015 host. Nantes is ranking in 5th place in the prestigious Copenhagnize index: So you’re talking the talk, Nantes. You’re also starting to walk the walk but what will define the liveability of the city is how far you’re willing to go. Your goal of 15% modal share is great and you’re on your way. No. 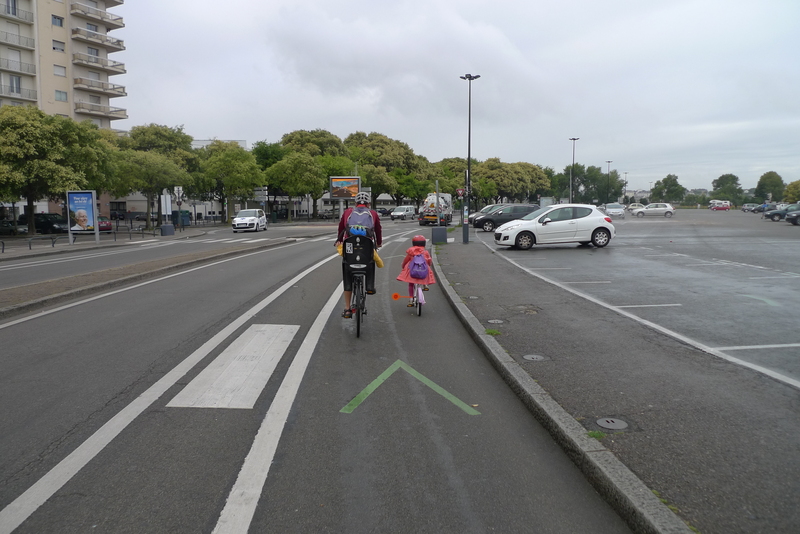 2 – cycling with young children is possible in bigger cities – so why not ours? The photographs were taken in Toulouse, Nantes, Paris and Bondy (one of the suburbs of Paris that burnt a few years ago with riots). I hope you all had a good summer and I look forward to resume the campaign. 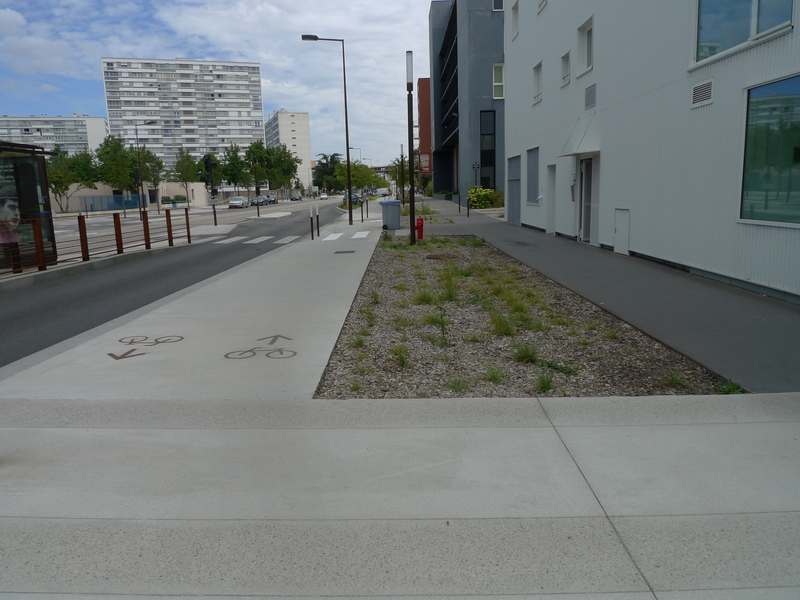 I must add that while I was cycling on the spaces of Nantes city centre, I thought St James’ Boulevard would be heavenly if designed similarly and my experience of cycling with my children and their friends to the Discovery Museum would be totally different. Nantes city centre. 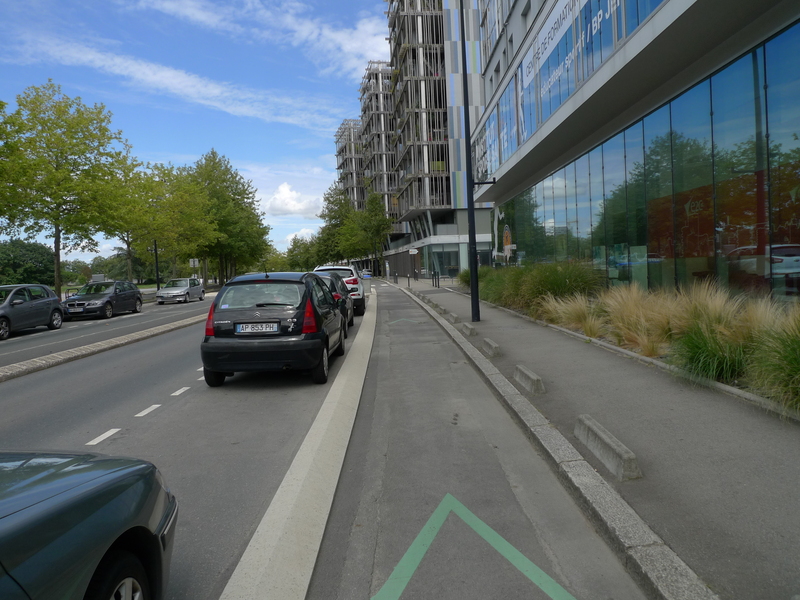 It is easy to imagine how this road was car-dominated until a major political shift forced the centre to be a slow-mode area. Nantes, East. 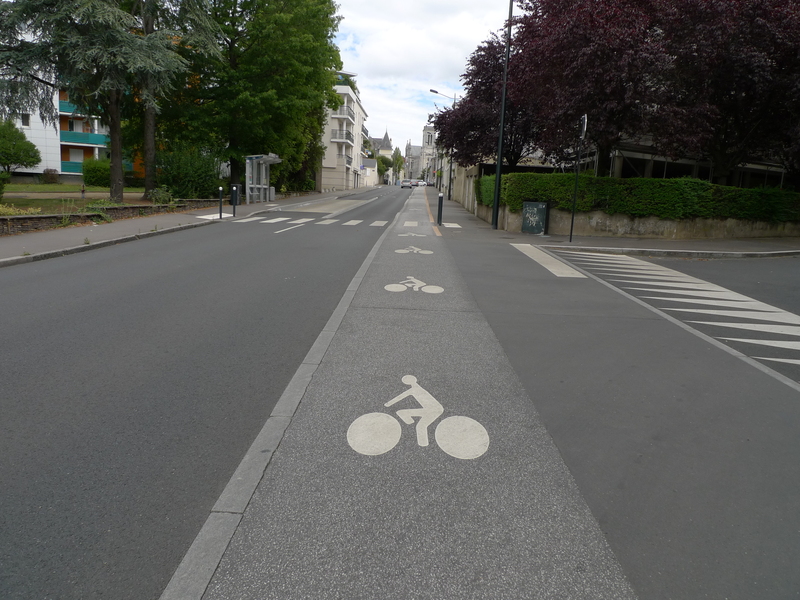 I was fascinated by that street which had been accommodated for cyclists since last year. I scrutinised it for a long time and thought the engineers must have spent quite a bit of time to ensure it was right, especially given the space constraints. 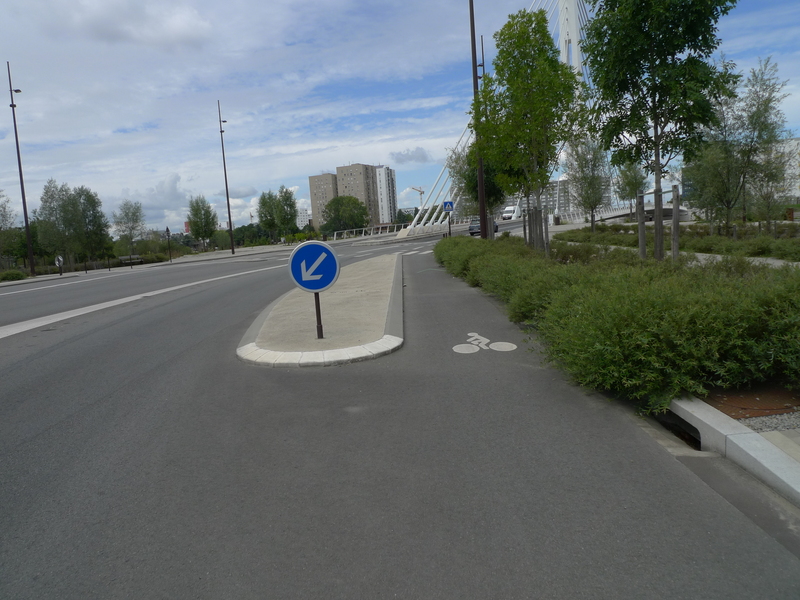 The raised cycling path ensures the safety from motor traffic. 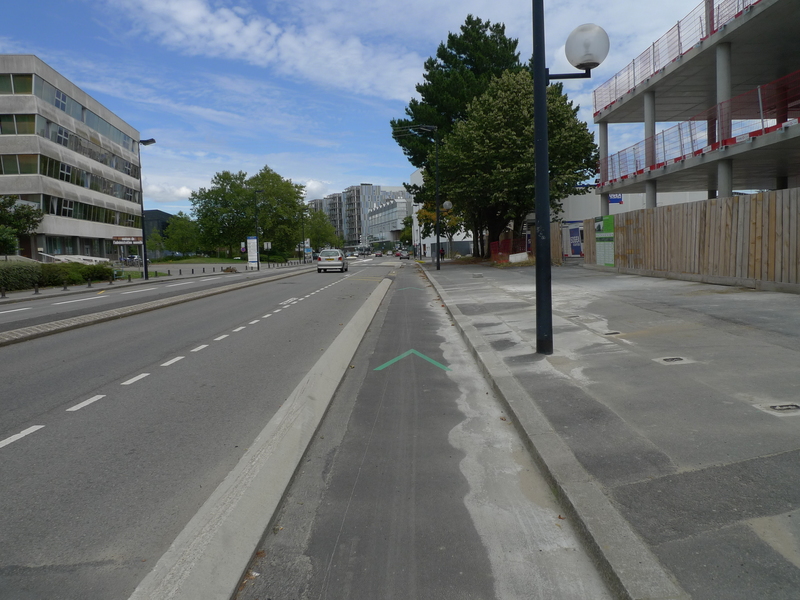 It is located on the uphill side of the road, so that cyclists can ride safely while pedalling hard, they won´t go too fast due to the gradient to scare pedestrians – so the cycling can even go in front of the bus stop. 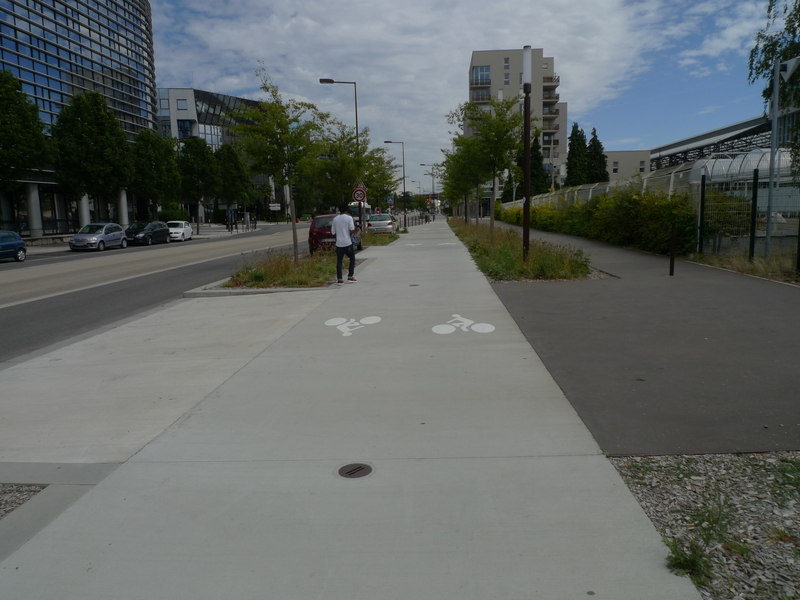 But I felt it takes a leap of faith in the culture and acceptance of citizen to tolerate a cycle path in front of the bus stop! I have never seen any conflict there during my time. 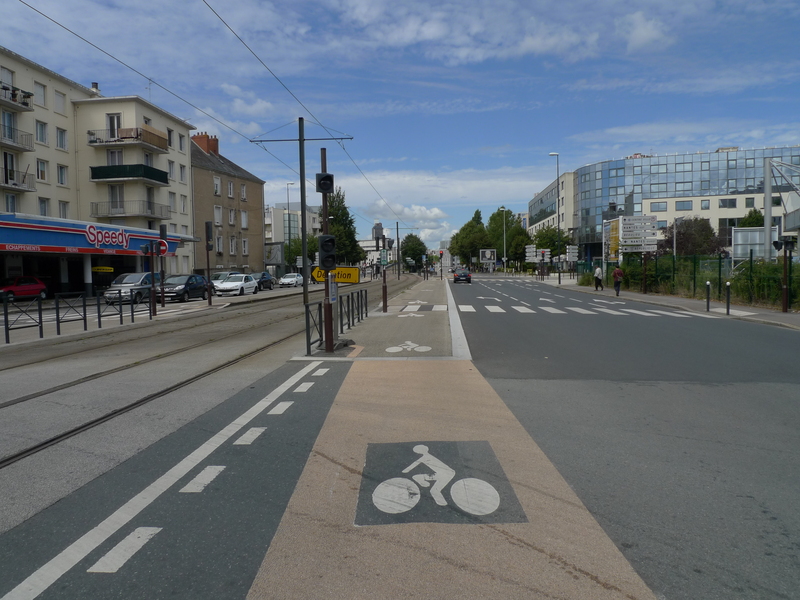 Nantes. Regenerated Île de Nantes, Île Beaulieu.